Planning on furnace replacement? At Logan A/C and Heat Services, we know that a great brand and excellent installation help you stay warm all winter. 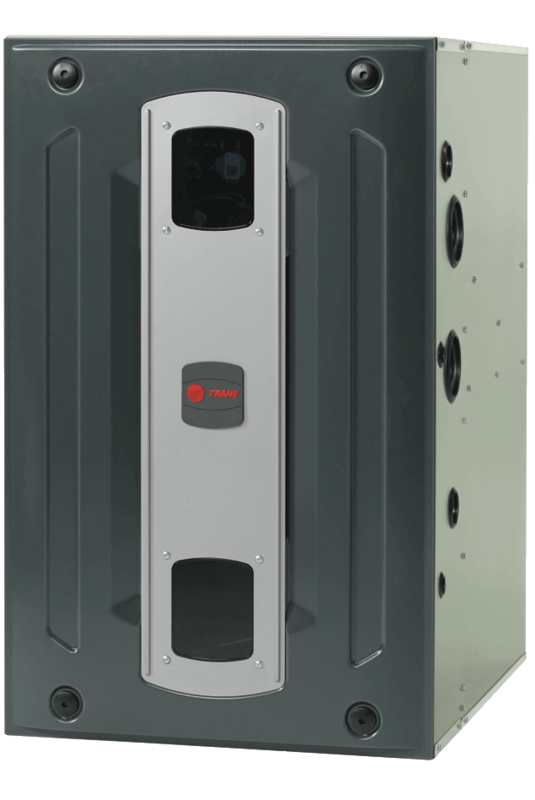 We are pleased to carry Trane and Rheem furnaces, known for their superior comfort and long-term reliability. Warranty*: Lifetime limited warranty on the heat exchanger and 10 year limited warranty on internal functional parts with registration. Efficient Performance - The XC95m is rated with up to 97.3% efficiency (AFUE) and select furnace models are Energy Star qualified. ComfortLink II - ComfortLink™ II communicating technology connects all of your key components so your system automatically charges, configures and calibrates for optimal performance through the lifetime of your products. Comfortable, Even Heating - Variable-speed blower motor adjusts speed to provide a consistent flow of warm, comfortable air with quiet operation. Cleaner, Healthier Indoor Air - Add Trane CleanEffects™ to your system for advanced air filtration that removes more dust, pollen and other irritants from conditioned air for a cleaner, healthier, more comfortable home. *Warranties are for residential use only, some exclusions may apply. For all coverage options, check with Trane.com or your independent Trane dealer. 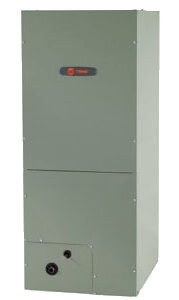 Industry-Changing Cabinet Design - The S-series furnace cabinet is designed to accommodate virtually any home, and is certified to be airtight to less than 1%. Efficient Performance - The S9V2 is rated at 96% gas efficiency (AFUE), and the Vortica™ II blower is one of the most efficient in the industry, providing energy savings in both winter AND summer. Comfortable, Even Heating - With stainless steel primary and secondary heat exchangers, and the ultra-efficient Vortica™ II variable speed blower, you can count on a consistent flow of warm, comfortable air with quiet operation. 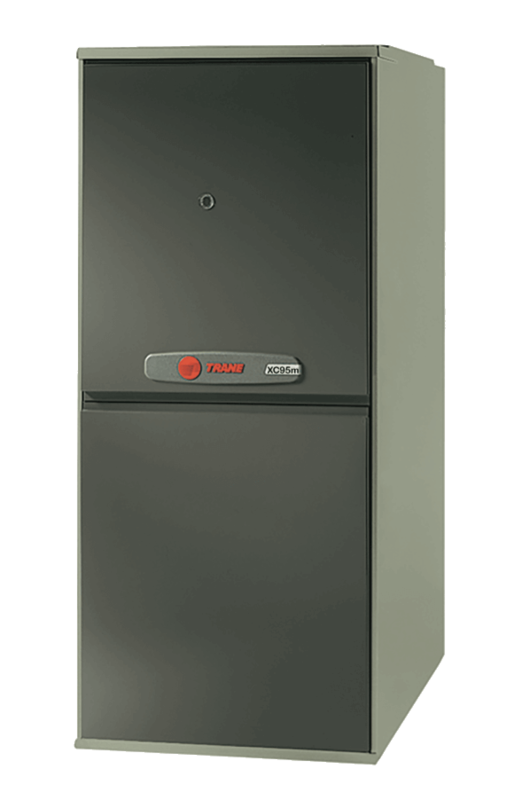 Highly Efficient Performance - The XR95 hot air furnace features a 95% AFUE rating. Durable Construction - Materials for all components are tested again and again for long-lasting performance and durability. Warranty*: 20 year warranty on the heat exchanger and 10 year limited warranty on internal functional parts with registration. Highly Efficient Performance - The XR80 gas furnace features up to 80 percent AFUE. Durable Construction - Materials for all components are tested again and again for long-lasting performance and reliability. Warranty*: All Trane air handlers have a 10 year registered limited warranty on the coil and all other internal functional parts. Reliability - The all-aluminum coil found in the TEM residential air handlers is exponentially more durable than standard copper coils, which are susceptible to formicary corrosion. These all-aluminum coils ensure families stay comfortable indoors all year long, no matter what the weather outside. 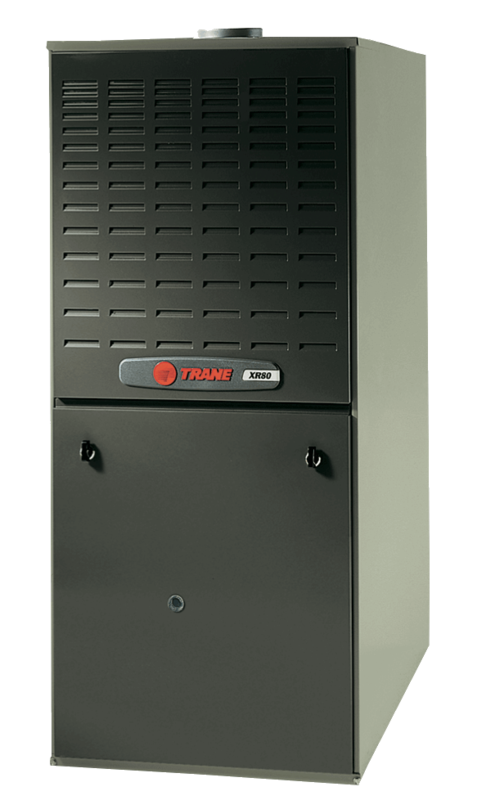 Rust Prevention - Trane residential air handlers come with a no-rust polymer drain pan along with galvanized cabinet features to keep things running and looking good for a long time. Matched Options Made Right - The introduction of the TEM residential air handlers allows more flexibility for addressing special applications for all of your heating and cooling needs. With a variable speed motor, and Comfort-R technology, the TEM Electric Air Handler offers efficient home comfort at a price that is easy on the wallet. Premium Comfort - We’ve improved airflow, which means you get fewer cold spots and better overall indoor air quality during every season. 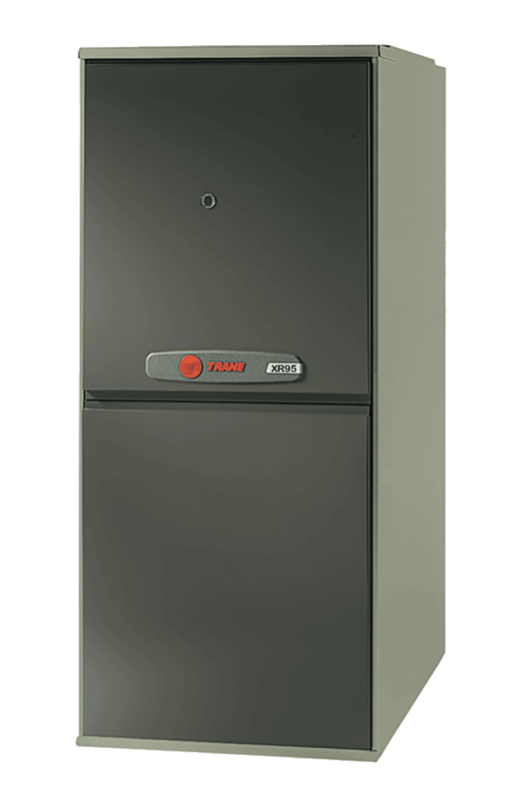 Maximum Efficiency - A 96% Annual Fuel Utilization Efficiency (AFUE) guarantees this gas furnace makes the most of every drop of fuel. 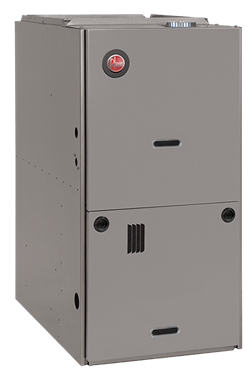 Exceptional Quality & Reliability - Our Prestige Series Gas Furnace is designed with the exclusive PlusOne ™ Ignition System, the most reliable system on the market today. *For complete details of the limited conditional warranties, including applicable terms and conditions, go to Rheem.com for a copy of the product warranty certificate. Peace of Mind - Designed with patented features to ensure year-round reliability. And for added peace of mind, our gas furnace is backed by a 10-year conditional parts warranty and a limited lifetime heat exchanger warranty. You’re covered! 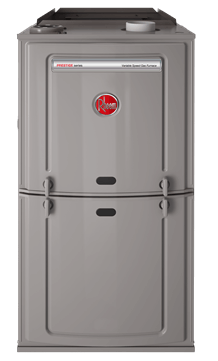 Exceptional Quality & Reliability - Quality is in the details of the Rheem R95 Classic Series Gas Furnace. You can feel confi dent, thanks to rigorous testing of all major components. 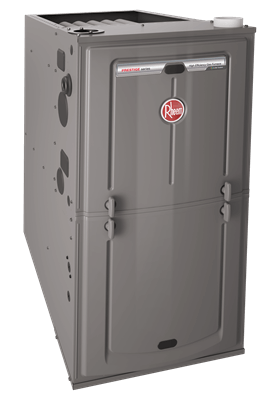 The Rheem R95 was engineered with the exclusive PlusOne ™ Ignition System, the most reliable ignition system in the industry, so you can count on your furnace lighting right every time. Peace of Mind - In addition to many features to ensure years of reliability, our new gas furnace is backed by some of the best warranties in the industry. Reliability - We’re serious about the quality and reliability of our products. That’s why our gas furnace is engineered with the exclusive PlusOne ™ Ignition System , one of the most dependable ignition systems on the market. Efficiency - A two-stage, variable- speed motor delivers the right amount of heat for a more comfortable home and a lower utility bill. Advanced Comfort - The Rheem High-Efficiency Air Handler adjusts airflow in the home to help control humidity. Airflow can be set for specific needs, so your home feels just the way you want it. 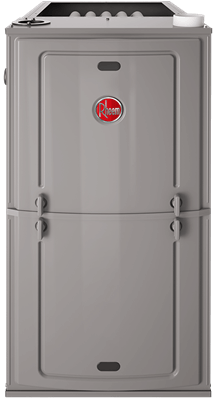 Quiet and Efficient - The sturdy design of the Rheem High-Efficiency Air Handler provides excellent thermal and sound insulation, which means you get quiet and efficient comfort. EcoNet™ - This innovative technology allows you to control your comfort from home or away. By the time you are ready to buy a new furnace, you may quickly realize that the models have changed a lot. The latest equipment will probably have efficiency and output higher than what you have. There may also be some new features of which you’re unfamiliar. We know that you might need some help deciding on the right equipment for you. We encourage our customers to keep in mind that bigger is not always better. Choosing a cheaper model simply to save money may not be the best long-term investment. We are always ready to help Ohio homeowners select an ideal furnace for their homes. Choosing the best furnace can feel like a really big step, but we know that service also plays an important role. We understand how installation can make or break your furnace function and efficiency, particularly if it is completed by someone without the necessary skills. We want to impress you from the first moment — with personal service that takes your needs seriously and aims to address all of your heating concerns. Every aspect of our care is designed to ensure that you are never left out in the cold. We understand that furnace replacement is a significant investment of your time and money, so we offer a few convenient and affordable financing options. This way, you can get the best furnace for your needs, without breaking the bank. At Logan A/C and Heat Services, we believe that a season of wonderful heating begins with a furnace from a trustworthy manufacturer and professional installation from one of our expert technicians. To discover what equipment from a top brand and excellent customer service can do for you, call us today to schedule an estimate.